Maximum flexibility for the applications of tomorrow. 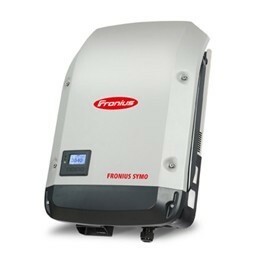 The transformerless Fronius Symo is the 3.0 kW three-phase inverter for systems of every size. The high system voltage, wide input voltage range and two MPP trackers ensure maximum flexibility in system design. The standard interface to the internet via WLAN or Ethernet and the ease of integration of third-party components make the Fronius Symo one of the most communicative inverters on the market. The foundation of the unique PC board replacement process is laid as we develop our inverters, as PC boards can only be replaced if the device has been designed accordingly. 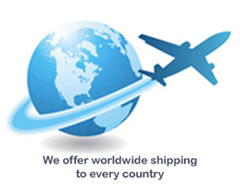 This enables our Fronius Service Partners to provide the fastest inverter servicing on the market. The special feature in the design of our devices is that the connection compartment is separate from the power stage set compartment. They are installed separately. The connection area and all its cabling is fitted to the wall first. The power stage set compartment is fitted afterwards. The innovative SnapINverter mounting system makes installation and servicing extremely user-friendly. The inverter is simply placed in the wall bracket and then secured. It is not necessary to remove the entire inverter for servicing, just the power stage set compartment. All the cabling, settings and configurations remain in place. Simple, user-friendly system monitoring is very important to Fronius. With the Fronius Datamanager, we are the first inverter manufacturer to offer a WLAN interface in the inverter itself. The inverter is connected to the internet without additional cabling and grants you the perfect overview of how the PV system is operating. The Fronius SuperFlex Design combines all the system design requirements into a single inverter form. Two MPP trackers combined with a high system voltage and wide input voltage range guarantee maximum flexibility. Every DC input, and therefore every MPP tracker, is able to accommodate the entire nominal output of the inverter. The result: an inverter for every application. Thanks to the SuperFlex Design, a single inverter can cope with any challenge – including different roof orientations, shading of one or two strings, or the use of residual modules. The Dynamic Peak Manager is a new MPP tracking algorithm that dynamically adapts its behaviour when searching for the optimal operating point. The special feature is that the Dynamic Peak Manager automatically checks the entire characteristic curve on a regular basis and finds the global Maximum Power Point (GMPP), even in partial shade. Fronius inverters are ready for the Smart Grid of tomorrow. The inverters are optimally equipped to meet the technical requirements of grids in the future. A series of smart functions, known as Advanced Grid Features, are built into the devices. These include a number of control functions for optimum feed-in of reactive power and effective power. These functions are designed to enable stable grid operation even when the PV system density is very high and to prevent unwanted interruptions to feed-in and associated yield losses. Fronius inverters therefore help to guarantee the yield of a PV system. © 2015-2018 Europe-SolarStore.com. All Rights Reserved.